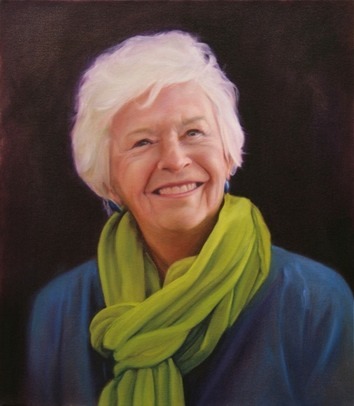 Commissioning a portrait painting or drawing begins with a conversation. Once the details are determined, a contract is drawn up for you. A 30% deposit is required at contract signing. Aron then travels to the portrait subject's home, office, or other location to take several photographs and get a feel for the subject's personality, so this can be infused into the portrait. One or more of the best photographs are selected and shared with you for approval as reference material for the portrait. Once the photographs are approved, you will be given an estimated completion date. Upon satisfactory completion and delivery of the work, the remaining 70% of the portrait fee is due. Contact Aron to get started.